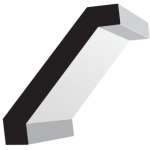 Crown Moulding Surrey & Vancouver | Active Doors & Mouldings Ltd.
Crown mouldings for Surrey homes are installed at an angle that connects a ceiling and a wall. It has an incredible visual appeal and is capable of aesthetically enhancing a room’s appearance by adding more dimension, reflecting light and generating an interest in the room among those who are present. 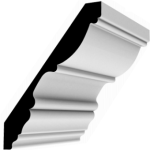 Check out our various types of intricately designed crown mouldings or contact us for more information.